SNAFU! : LOOK (light observation-defensive container)...the Mobile Pillbox/Observation Post. LOOK (light observation-defensive container)...the Mobile Pillbox/Observation Post. LOOK (light observation-defensive container) is a 20-feet container-based armoured observation and protection station. 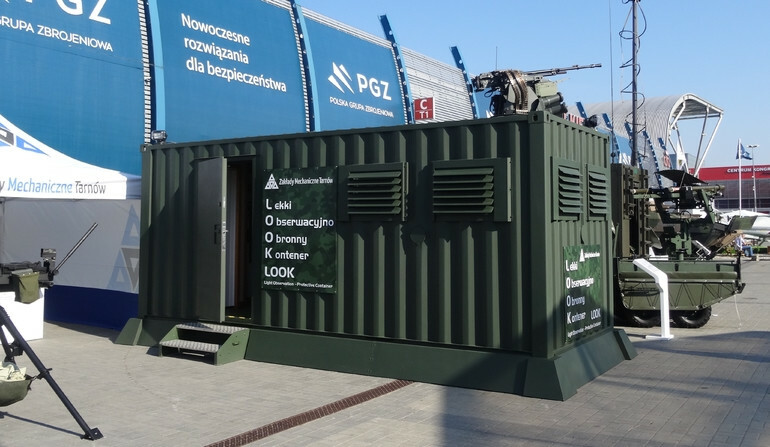 The container is fitted with a rotating weapon station or, optionally, a remotely controlled weapons module, complemented with a Polish-made optoelectronic sensor. LOOK is being presented, during the MSPO 2017 event, by the ZM Tarnów company. It has been submitted as a product proposed to receive the Defender award. Mike Sparks would be proud. Once again the guy is being proven as an innovator and many of his ideas are seeing the light of day. He called this very same concept a "Battle Box" but expanded on it to include providing logistics for an entire Brigade based on the ISO-Container being organized, bar coded and managed to service forward forces. 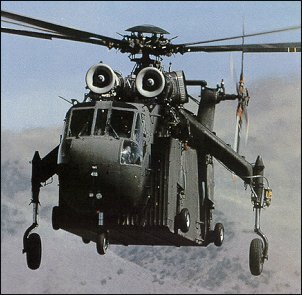 He even went so far as to envision ways that it would aid maneuver forces and saw them being towed by M-113's and moved around the battlefield by CH-54 (super modernized). You can check out Sparks writing on the subject here...be warned it's a bandwidth killer so if you're running a slow connection it'll hit you hard.